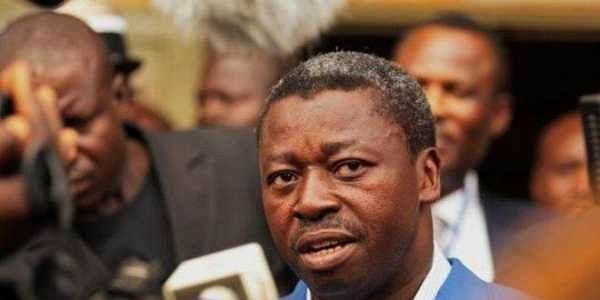 President Faure Gnassingbe, who has been in power since 2005, has faced calls to quit and instigate constitutional reform since last August. LOME (TOGO): Long-awaited talks between Togo's government and the opposition began on Monday to try to end a six-month political stand-off that has seen thousands take to the streets in almost weekly protests against the ruling party. But after a stalemate, the two sides agreed to meet in talks brokered by Ghana's President Nana Akufo-Addo and Guinea's Alpha Conde. "The peace, the freedom and the stability of the Togolese people is something which is just not negotiable," said Akufo-Addo at the start of the discussions in the capital, Lome. "I've come here with no solution, prescription or magic wand to impose or prescribe any solution," he told delegates, as well as diplomats from the United States, China and France. "It's important that it is this dialogue that will determine the future of this country and... that it is the Togolese themselves... that will determine the future of your country." Akufo-Addo called for the talks to take place in "a spirit of accommodation (and) compromise". The talks are expected to last 10 days and discuss a range of issues, including the reintroduction of the 1992 constitution that placed a limit of two on presidential mandates. It will also look at "political transition" and "electoral reforms". The coalition of 14 opposition parties and Gnassingbe's ruling Union for the Republic (UNIR) party will be represented by seven delegates each. Veteran opposition leader Jean-Pierre Fabre said: "The crisis chipping away at Togo is deep. "The fight has entered a decisive and irreversible phase because the people are incensed by more than half a century of massive human rights violations and bad governance. "We call on the good faith and sense of responsibility of those in charge. The Togolese people -- hurting and angry but resolute and determined -- are attentive." The spokesman for UNIR, Charles Condi Agba for his part said it was participating "in a sense of openness".